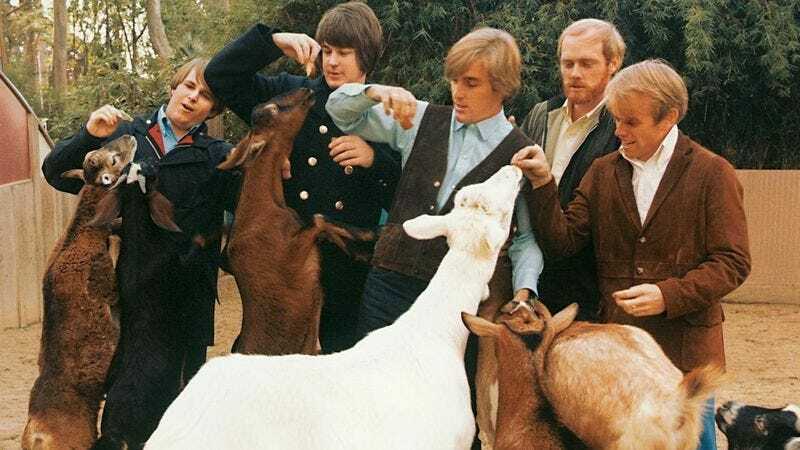 The Beach Boys’ adventurous Pet Sounds, a divisive album now approaching its 50th birthday, underperformed commercially back in 1966 but still managed to inspire Paul McCartney to respond with a concept album of his own, i.e. The Beatles’ Sgt. Pepper’s Lonely Hearts Club Band. Now, to celebrate the LP’s golden anniversary, Pitchfork has assembled a lovely, little mini-doc about how the album came to be and what makes it so unusual. As narrator Jayson Greene explains, “Pet Sounds brought complex arrangements, ambitious lyrical arrangements, and the concept album to pop music, leaving an imprint that is still heard today.” And to think, it was originally going to be called Run, James, Run, with an eye toward being a James Bond soundtrack. Under any title, the LP is a showcase for the experimental whims of Brian Wilson, who had retired from the touring version of The Beach Boys after a panic attack in 1964. Capitol Records even toyed with the idea of marketing it as a Wilson solo album.